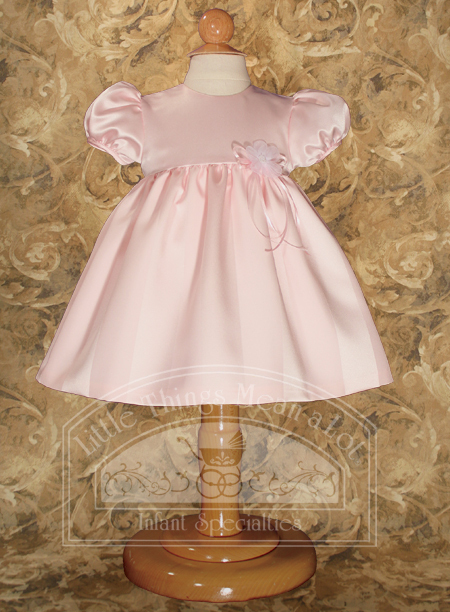 Darling pink satin baby dress with elegant variegated wide stripe skirt and organza daisy. 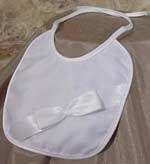 Made of high quality polyester satin in the USA. Hand wash. Ships on plastic hanger with poly bag covering.